Early in 1897, Moses Leterman, owner of the town’s largest department store at that time, convinced a group of influential business and professional men that the time had come for Charlottesville to form an Elks Lodge. As a result of his leadership and enthusiasm, this group requested that a Grand Lodge Officer be invited to explain the objectives and principles of the Benevolent and Protective Order of Elks. Elkdom came to Charlottesville on October 19, 1897. It was reported that forty-one Charter Members were initiated. All of the members agreed to pay a charter membership fee of no less than $15.00, which was a tidy sum in 1897. 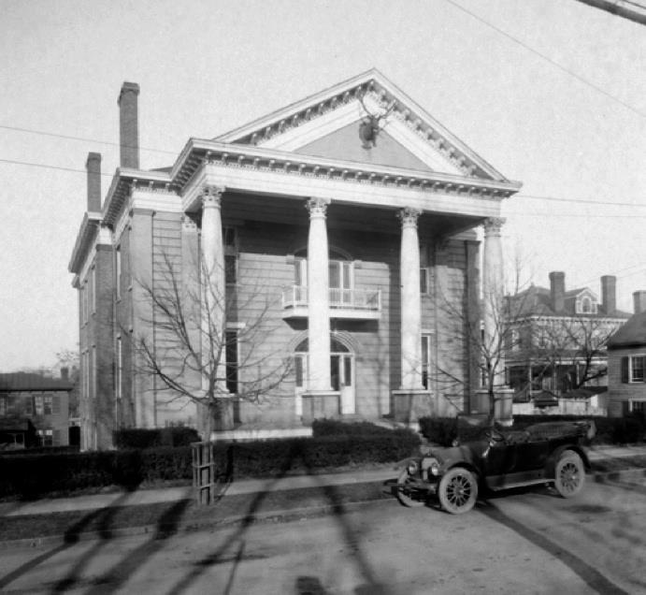 The first meetings were held in the Masonic Temple of the Widow’s Son Lodge No. 60. Our Lodge was one of many that contributed to the early growth of Elk membership. During the decade 1888-98, membership in the national order grew from 8,952 to 44,252. The number of lodges during this same period increased from a total of 92 to 442. The original charter members ranged in age from 21 to 58. Occupations listed were merchants, livery stable operators, attorneys, deputy sheriff, insurance agent, famers, butcher, and Mayor. As today, we have members from all walks of life and this diversity has been one of the reasons our lodge has prospered during the past 100 years. By 1903, our lodge was giving serious consideration to constructing their first lodge building. In the December edition of the Elks-Antler, an article stated that the “Charlottesville, Va. Lodge No. 389 is in a most prosperous condition, having 180 members on its roll with a number of new applications in waiting. It is piling up a building fund and will shortly have a new home of its own.” Seeking new members with the motto “Quality, Not Quantity”, by 1905 our Lodge was one of the most prosperous of the national order. During the next 50 plus years, our lodge grew and prospered. By 1960 our Lodge membership had increased to over 450 members.